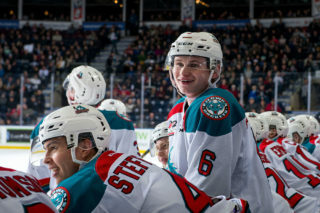 The Kelowna Rockets get set to face off against the Seattle Thunderbirds on Wednesday night at Prospera Place for another Hat Trick Wednesday. 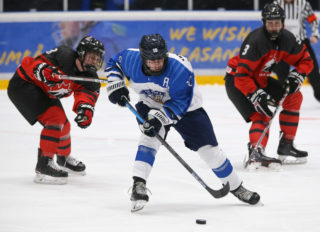 After surrendering a goal on Friday to the Victoria Royals in the first two minutes, and then again on Saturday in the opening minute against the T-Birds, Head Coach Jason Smith says his club needs to make sure they are ready to play as soon as the puck drops. 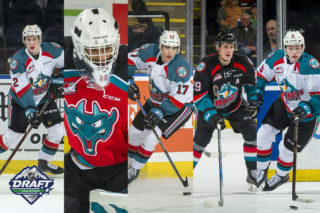 The Rockets and T-Birds faced each other for the first time this season on Saturday, October 6th with the Thunderbirds topping the Rockets 4-1 in Kent, WA. These two will face each other twice more following Wednesday night for a total of four matchups, with their next meeting coming on Friday, November 9th when the Rockets head back to the ShoWare Center in Kent. Their final regular season meeting will be on January 30th, 2019 when the Thunderbirds make one more stop at Prospera Place. The Rockets currently sit in fifth place in the B.C. Division with a record of 1-7-0-0 for two points. They trail the fourth place Kamloops Blazers by two points, and the third place Prince George Cougars by three. 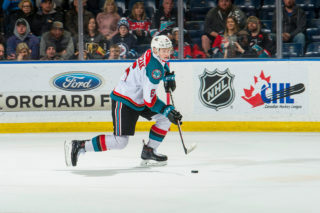 The Vancouver Giants sit in second in the division with 12 points in seven games, and the Royals lead the division with 12 points in six games. The Thunderbirds are currently holding the third spot in the U.S. Division with a record of 3-1-1 for seven points. The Portland Winterhawks sit first in the U.S. with nine points, ahead of the second place Spokane Chiefs who currently have eight. The T-Birds lead the Everett Silvertips by one point, and the Tri-City Americans hold the final spot in the division sitting three points behind the T-Birds with a total of four points. Puck drop on Wednesday is at 7:05pm at Prospera Place. 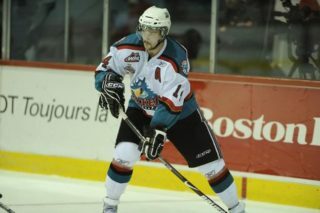 The Rockets are back in action following Wednesday night on Friday when they head to Kennewick, WA. to take on the Tri-City Americans at 7:05pm. Those two clubs then head straight back to Kelowna for a Saturday night rematch at Prospera Place. Puck drop on Saturday is at 7:05pm.